It was appropriate to hold a festival of self-appraisal in 1951 – a century after the Great Exhibition. It was conceived whilst war was still waging, and preparations began in 1947, at a time of great austerity as the country struggled to re-build. It provided, however, an illusion that Britain was recovering: “a tonic for the Nation”, as Gerald Barry, the Director General of the Festival, put it. Herbert Morrison took charge of the arrangements, setting up a Festival Committee with a budget of £12 million. The purpose of the Festival was to illustrate the British contribution in the Arts, science and technology since 1851. Events and exhibitions contributing to the Festival of Britain were held throughout the Nation, but it is the South Bank that remains focussed in most people memories. The site chosen was downstream from County Hall, on land created by a new river wall. This exhibition was to display the country and its achievements; and how the people have responded to the environment. Eminent architects were each allocated a project and a budget; the whole being co-ordinated by Hugh Casson. Work started at the South Bank on 26 July 1949. It finally emerged as a series of pavilions interspersed with sculptures by the country’s leading artists. Of the memorable structures were the Dome of Discovery designed by Ralph Tubbs and the Skylon by Powell and Moya. The South Bank Exhibition was officially opened by King George VI accompanied by the Royal Family on 3 May 1951. During the next five months it attracted 8½ million visitors. Contained within the site, playing an important role in the Festival, but independent from it, was a new concert hall. The LCC was already planning such a building when the Government asked it to be expedited in time for the 1951 Exhibition. The foundation stone was laid by the Prime Minister, Clement Atlee, on 12 October 1949, and the first concert coincided with the Festival’s opening. The architects were Robert Matthew (Architect to the LCC) and J.L.Martin (Deputy Architect). It is an aesthetically pleasing structure with clean lines. It can seat an audience of 3111 and has stage room for 100 players. The organ was designed by Ralph Downes and was installed in 1954. It has retained its connection with its origins in being called the Royal Festival Hall. The Festival Ballet was formed in 1950 to accompany a tour by Anton Dolin and Alicia Markova. 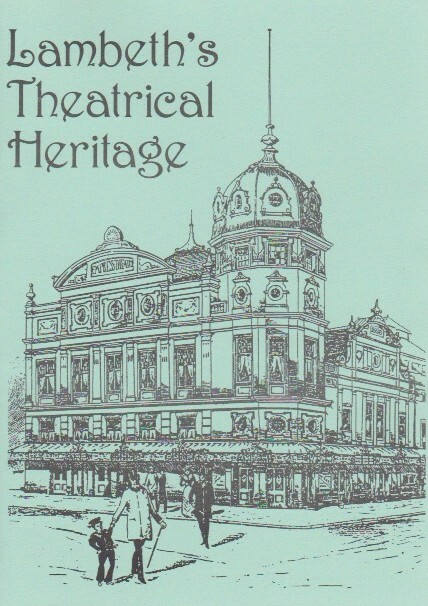 It performed its first season in its new home in July 1952. Further additions were made to the South Bank site. These included a block containing two concert halls; the Queen Elizabeth Hall and the Purcell Room. The former was opened by the Queen on 1st March 1967. It is designed for small orchestral and chamber concerts with a seating capacity of 1100. The Purcell Room seats just under 400 and is better suited for solo and chamber concerts. The Hayward Gallery opened in October 1968 as part of the same complex. Designed by Ove Amp & Partners, it is used by the Arts Council for exhibitions and storage. Originally part of the Festival of Britain and continuing to operate after it, was a cinema, which five years later moved to a position under Waterloo Bridge and thence known as the National Film Theatre. A Museum of the Moving Image opened in 1988 to the south of this [2010 addendum: this is now closed]. During the reign of Ken Livingstone at the GLC, the South Bank and Jubilee Gardens became a lively place, catering for all forms of art.